There’s a lot of social media and general internet buzz regarding Big Data, but what exactly is it? Here are 5 interesting things to know about Big Data. Simply put, Big Data refers to large data sets that are computationally analysed to reveal patterns and trends relating to a certain aspect of the data. There’s no minimum amount of data needed for it to be categorised as Big Data, as long as there’s enough to draw solid conclusions. 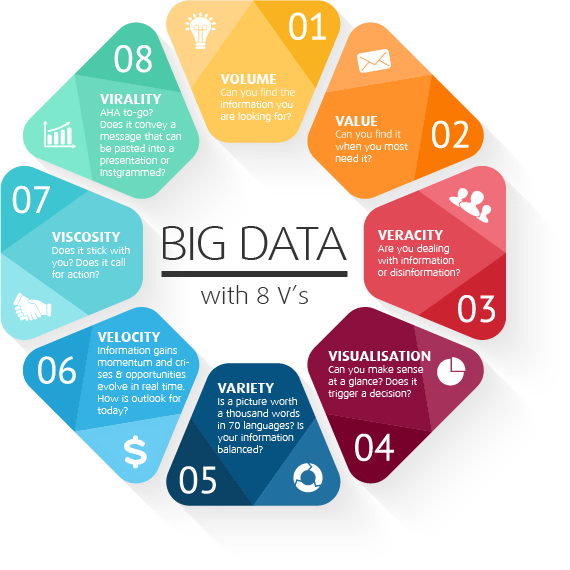 M-Brain explains the different facets of Big Data through the 8 V’s. Before anything happens, some data is needed. This can be gained in a number of ways, normally via an API call to a company’s web service. Once all the data has been collected it needs to be analysed to look for interesting patterns and trends. A good data analyst will spot something out of the ordinary, or something that hasn’t been reported by anyone else. 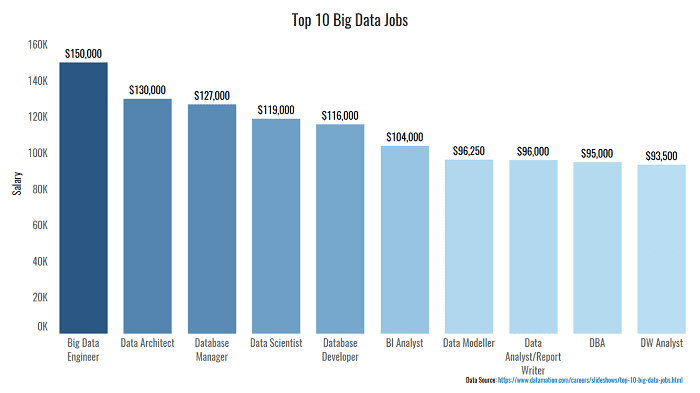 It’s worth noting that 88% of Data Scientists have an MSc, making it a passport to get into any job in this field (https://www.burtchworks.com/files/2014/07/Burtch-Works-Study_DS_final.pdf). In short, yes. The general interest and access to Big Data is on the rise. This Google Trends chart (https://g.co/trends/pxXJa) shows the increase in popularity of the search term ‘Big Data’ between 2004 and the present day. According to IDC, “Worldwide revenues for big data and business analytics (BDA) will reach $150.8 billion in 2017, an increase of 12.4 percent over 2016”. The company goes onto estimate that by 2020, big data revenues could top $210 billion.